The little red runner in 9 patches. 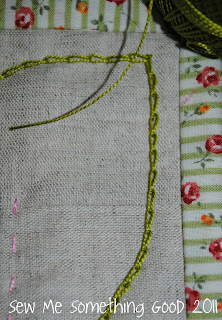 Let's start with pictures of the binding for a change. 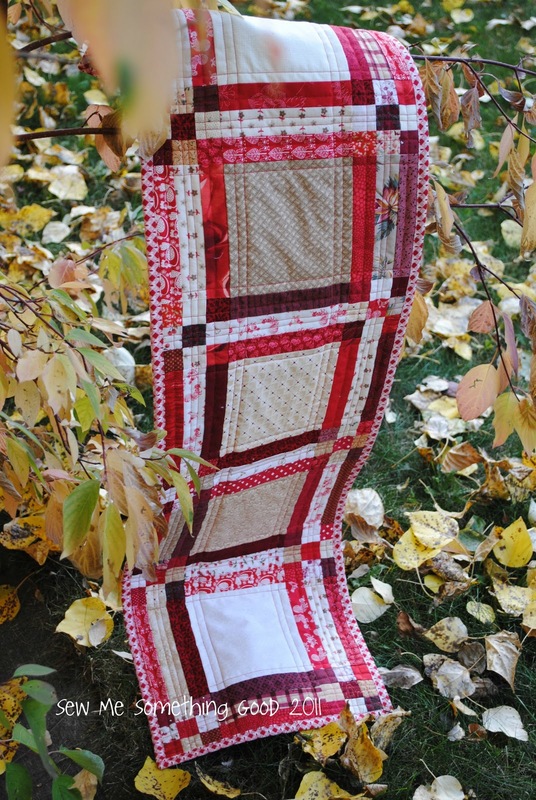 Bindings are always the endings to a quilted project, but this one is so good I want to show it first. 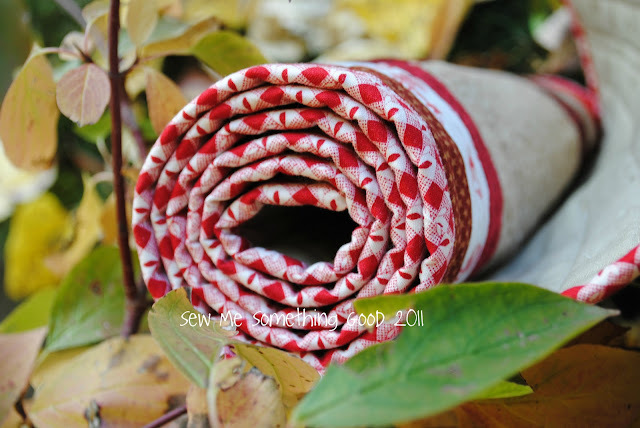 Now, we'll unroll that runner and have a peek at the backing and all the *ahem* straight lines I quilted. 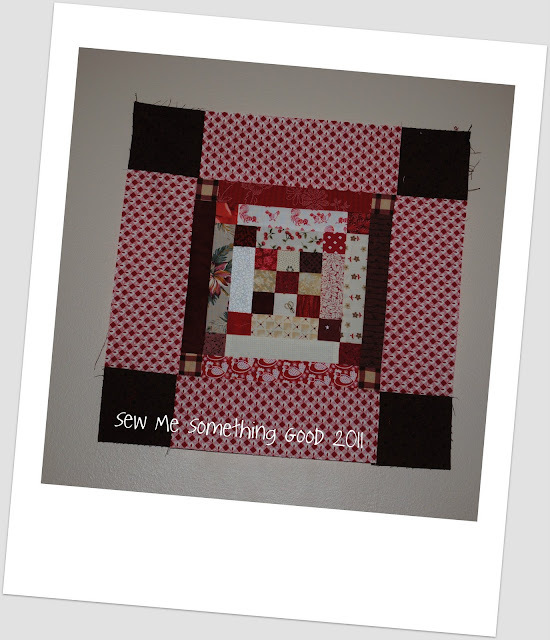 Quilted in red thread for the topside and cream for the backing. Just because. 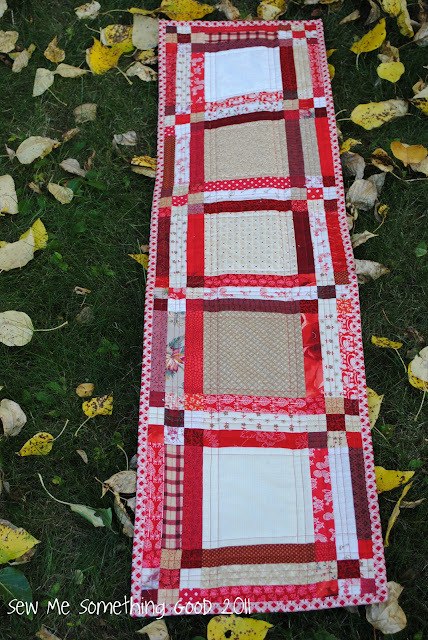 Flip things over and just look at all those red fabrics. sigh... All from my scrap bins and larger bits from my stash. I love how all those shades of reds play so nicely together. 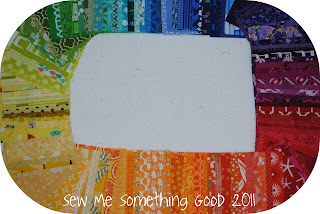 Just look at this rainbow of beautiful fabrics I received this week as a participant in the Color Wheel Charms Swap. Many thanks Kati, for organizing such a gorgeous swap and to all the other participants that have such great taste in fabric! This was the first time for me to be a part of a group swap and only the third time I've had charms to work with (see what I made with my first and second set of charms here and here). From the moment I took the charms out of the package they arrived in, I started playing with them. I couldn't resist all those colours. What a feast for the eyes! You're looking at 112 fabrics in the photo above. I would never be able to gather these exact fabrics locally. Lots of ideas for using them are bubbling through my brain. 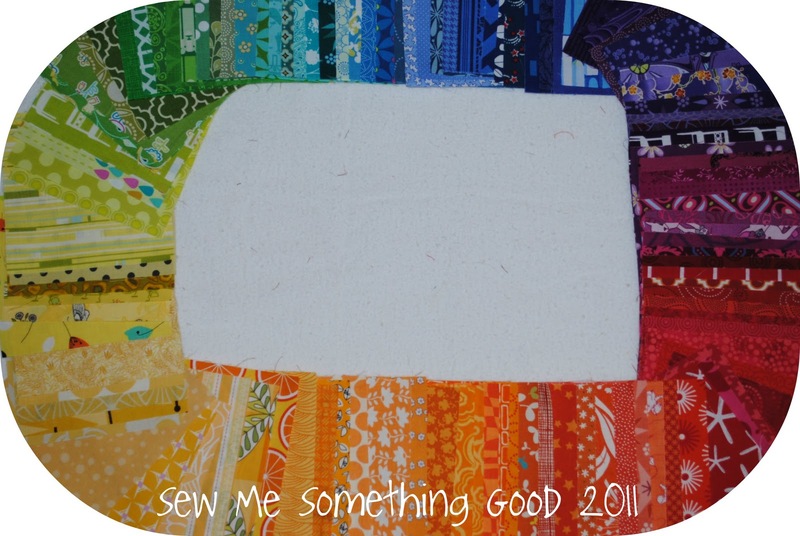 My quilting journal has some sketch ideas just waiting for me to grab these charms and get stitching a rainbow project or two. 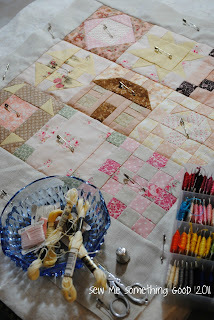 to post this peek at the happy progress being made on my tablerunner made from 9 patch blocks. With any luck, I'll have a finished project to share tomorrow. Wahoo! I'm linking up to a new Canadian blog that shares WIP Wednesdays. 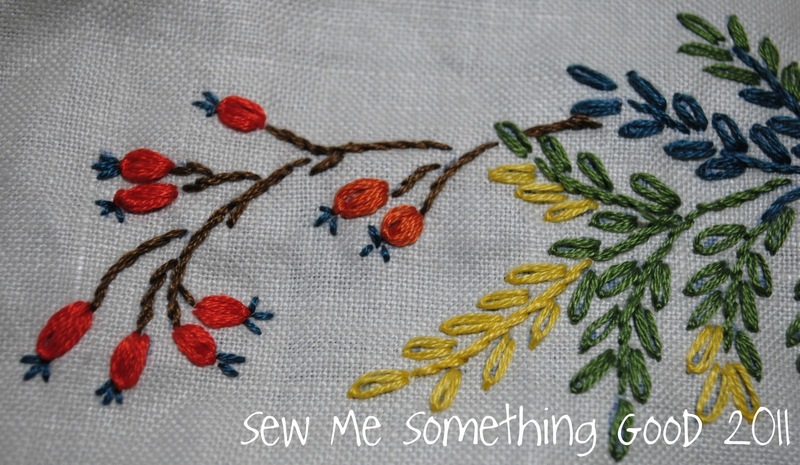 Click here to see what others have been working on today. Fall weather is here, bringing with it the beautiful fall colours. 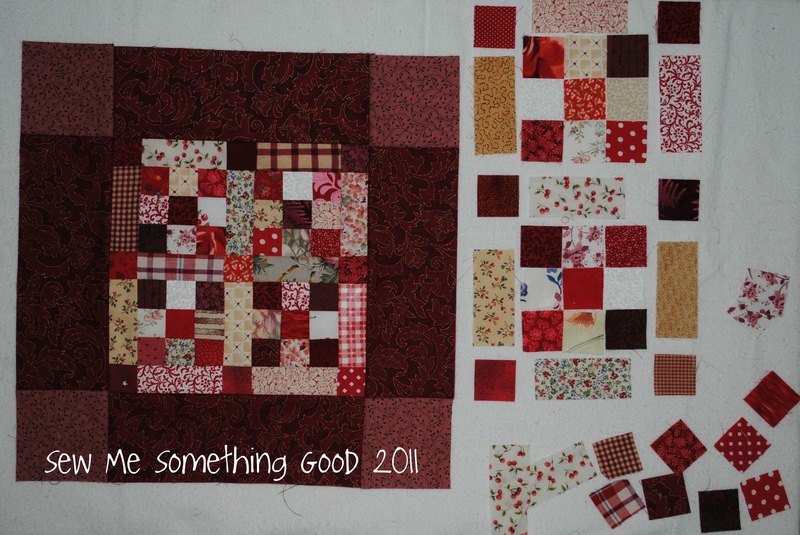 Those colours have inspired my current fascination in making 9 patch blocks from my stash (and my scraps) in red. The lush colours keep drawing me in and making me smile. and predictably, that led to a third block. Unexpectedly, it also led me here. 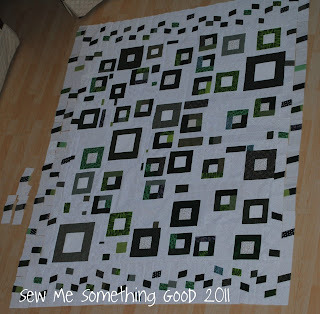 Who knew 9 patch blocks could be so addictive fun? Currently, this WIP is waiting for me to decide how to proceed. Originally, I was going to make a pillow. Then I thought it would make a great table mat. Next, I thought it would make a perfect runner for a dresser because it matches the quilt I'm making for my bed and the linen + patchwork pillows I've already made for my "bed". If I decide to make it into a runner for a dresser, I'm going to have to convince my husband into buying me that antique dresser I've had my eye on. Would be pointless to have a runner for a dresser when there's no dresser to put it on! It would end up being a floor runner. Uh-oh. 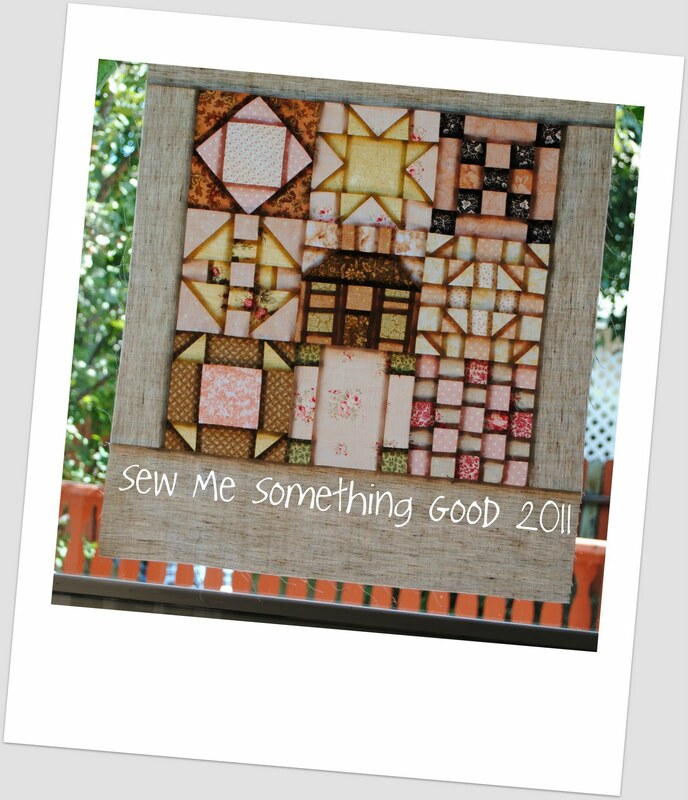 That gives me another idea for using up more scraps. See? I really am in DEEP. I make a mess! Here's the state of my sewing/cutting table at the moment. It's a red fest. 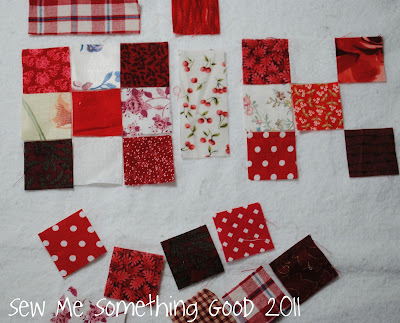 :o) I pulled all my red fabrics from their shelf, then dumped out my container of red scraps and started playing. I attacked the scrappy pile first, selecting what I could use to make some 1 1/2" squares. This is what started to appear on my portable design board (which is a fancy name for a piece of foam board with white flannel wrapped and taped onto it). 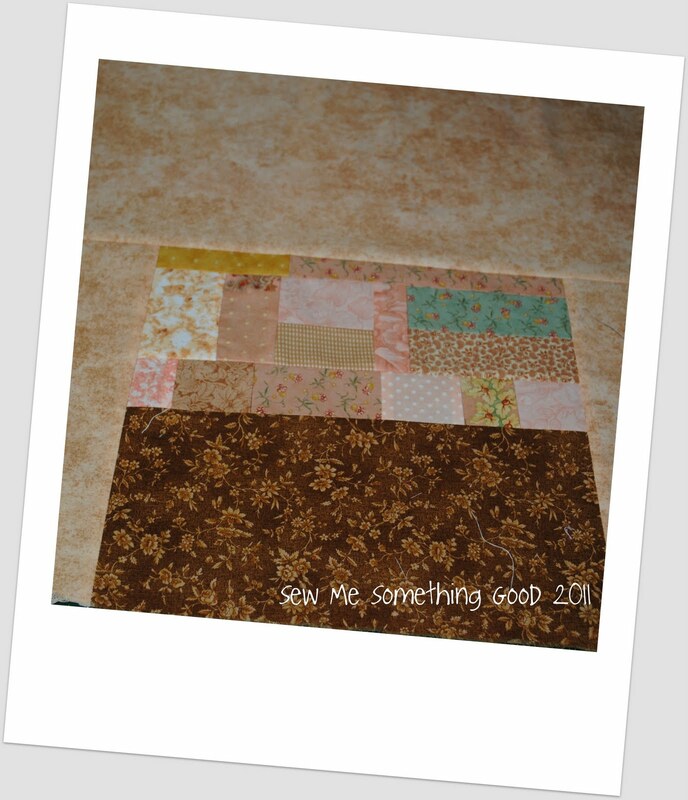 I find my little design board great for laying out small quilting projects. 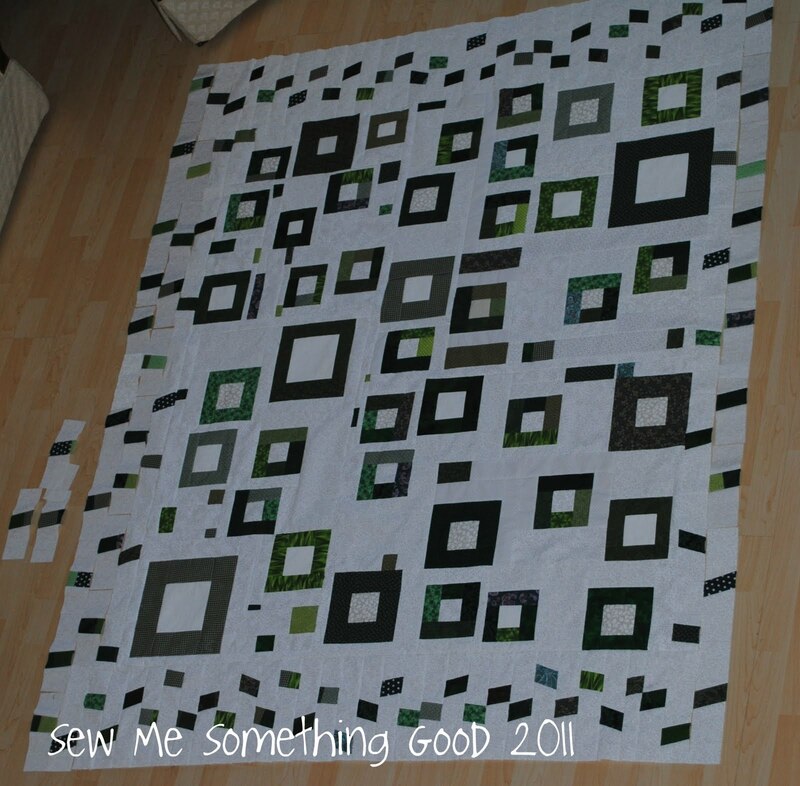 Pretty soon, all those little squares evolved into a scrappy 9 patch block, which I finished off by adding borders. 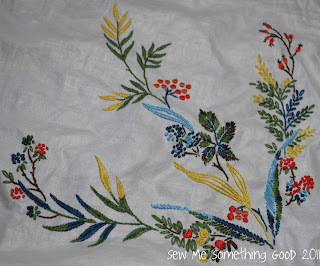 There's some treasured bits of fabric making up those tiny patches and it makes me so happy to see them made into something ( sigh...and now I feel less guilty about being a scrap hoarder conservationist ;o). See you later. I'm going back to make a bigger mess. that despite what the instructions say, I will not have enough supplies included to finish my stitchery kit. Yet, here I am once again, nearing completion and faced with a shortage. Where do I keep going wrong, I wonder? 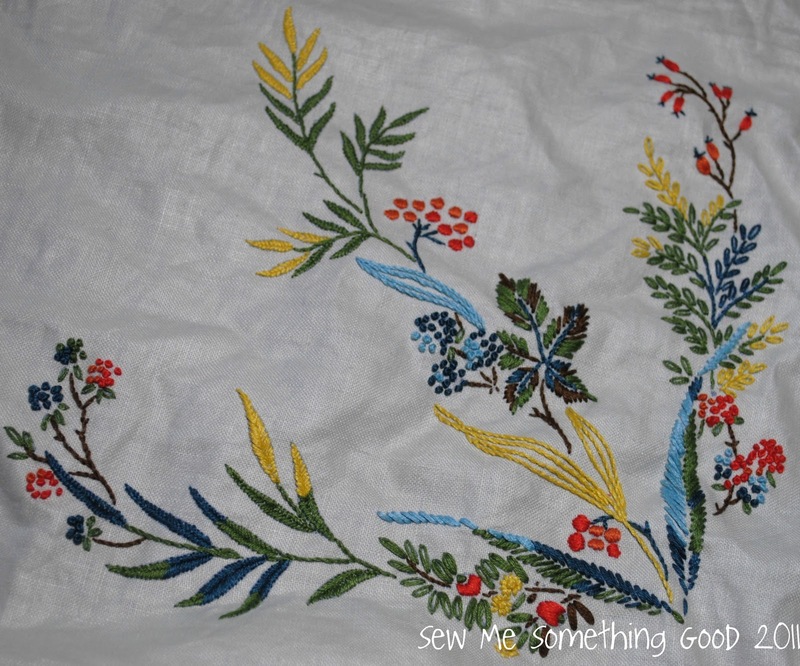 I've already finished stitching three out of the four repeated motifs on this tablecloth, but I'm certain that I'm going to run out of green floss before I'm done. I'm down to less than 30 inches in that colour and I still have a fair amount of the design that needs to be done in green. sigh. This will be the second time I've used a kit and found myself running short of the threads I need. I'm keeping my fingers crossed that I will be able to find more in the right colour - despite the fact that this kit was picked up from a thrift store (and who knows how old it is?). The craziest part? 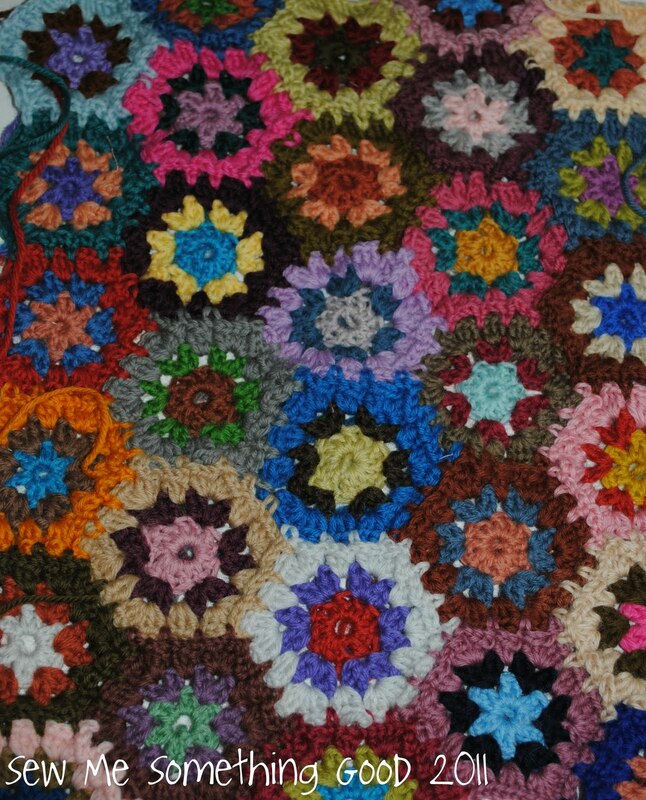 I have what appears to be MORE than enough in every other colour needed for this design - actually I know I will have full skeins leftover, whereas, I will need more than one skein of green to finish. Does that make any sense? Who determined how much of each skein of colour would be needed - how could their math be so off? Please tell me if something like this has ever happened to you. It only reminds me of how I never had any luck with boxed cake mixes - they never turned out as well as cake I made completely from scratch. Seriously. Every single time. Who knew you could screw up a cake mix? lol That led to me to make the decision to never buy cake mixes. Thankfully, my homemade cakes do turn out, so we haven't gone without eating cake. Only, I'm feeling the same lack of love from stitchery kits as I had from those boxed cake mixes. 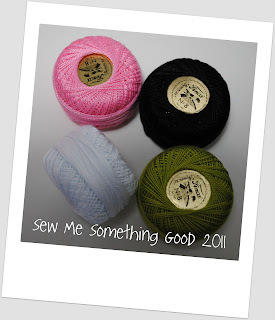 Fabric is my first love (creatively speaking), but colourful yarn is also irresistible to me. What's a girl to do when she doesn't have a money tree in her backyard to help fatten her yarn stash? She finds a way to repurpose or use what she has! What fun! Plus, it's a more economical way for trying out a colourful idea (for someone that doesn't have a bountiful knitting yarn stash.... yet)! Details like buttons. I have added fabric, mother of pearl, coconut and even a couple of buttons from Sculpey clay, onto a mini quilt I'm working on. Anyways, you can see from the open area at the bottom of this mini quilt, I'm not done yet, but thought I'd show you my progress. Now, I can't help but wonder if you like to have a project that you take your time on, pondering over it and perhaps even savouring the time it takes to complete....Care to share? 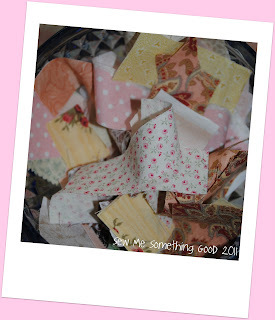 All this bounty came to me courtesy of Madame Samm over at Sew We Quilt as my prize for winning one of her amazing giveaways in the Wantobe Quilter campaign that continues 5 days/week until the end of Oct. That means the next winner could be you! 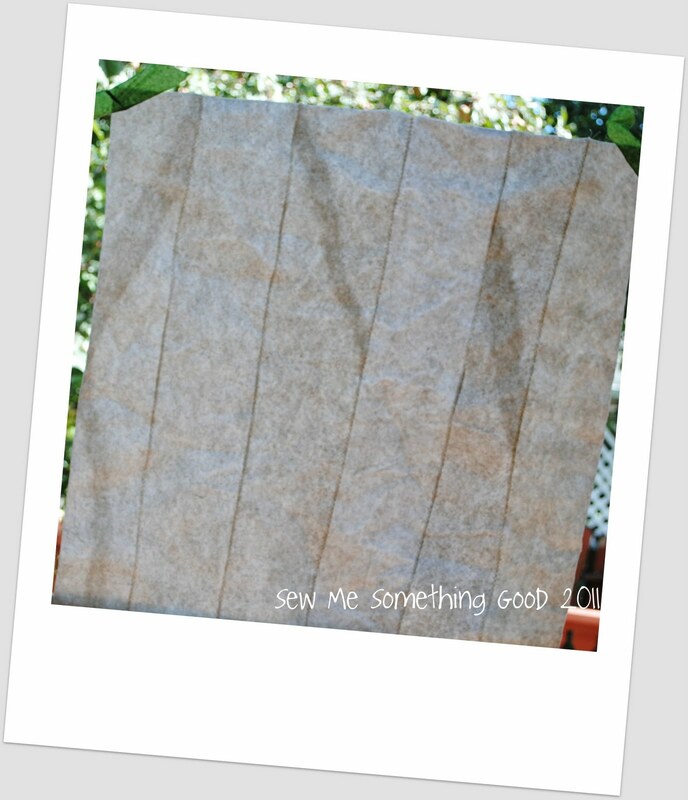 I hope seeing my winnings will encourage you to enter because Madame Samm really goes above and beyond in offerring spectacular prizes...PLUS... she's such a sweetie, she always tucks in a few extra goodies into every giveaway package she sends out. Lucky me, I received a couple of bottles of Tombo glue and four colours of Presencia threads as my extras! 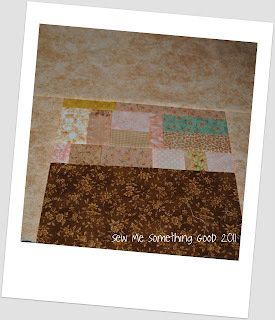 My prize (as shown on Sew We Quilt) was the Sizzix cutter, with the extra long cutting mat, along with the die to cut 2.5" strips ( you know I will be using this for quilting projects!) and I also won the bundle of 1/2 yard cuts of the Tea Cakes fabric you see pictured above. I've already given the cutter a test drive... oh, boy, is it quick and easy! The fabric is just so yummy... I'm still dreaming up what I will make with them... 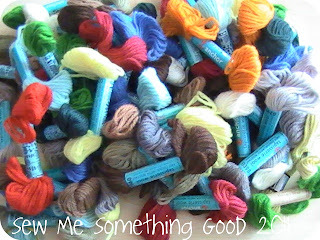 I did however dive right in with using the Presencia threads that Madame Samm included as sweet extras to my main prize. Aren't these threads pretty? After seeing all that, I know you'd like to win something AND I want you to win, too. Madame Samm has lots of great prizes to share with you. 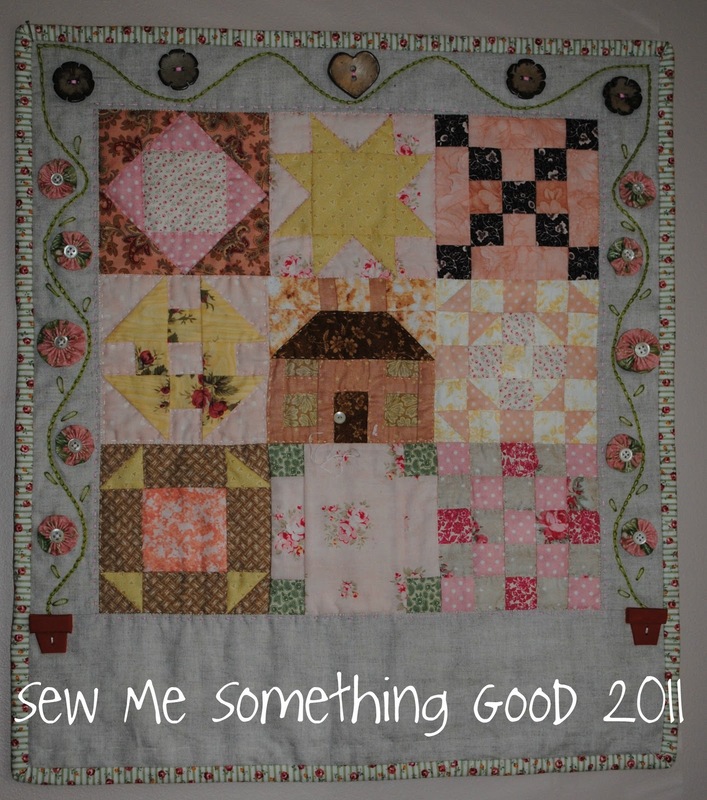 Please register with me (see my sidebar on the right, for details) and then go visit Sew We Quilt and leave your comments so you can be entered to win some great sewing/quilting prizes. You really don't want to miss out, do you? and here's what it looked like when *I thought * (insert snort of laughter on that declaration) I was done. Sending you all wishes for a wonderful weekend. Okay... I'm off to clean a little bit more before I get busy making more of a mess. 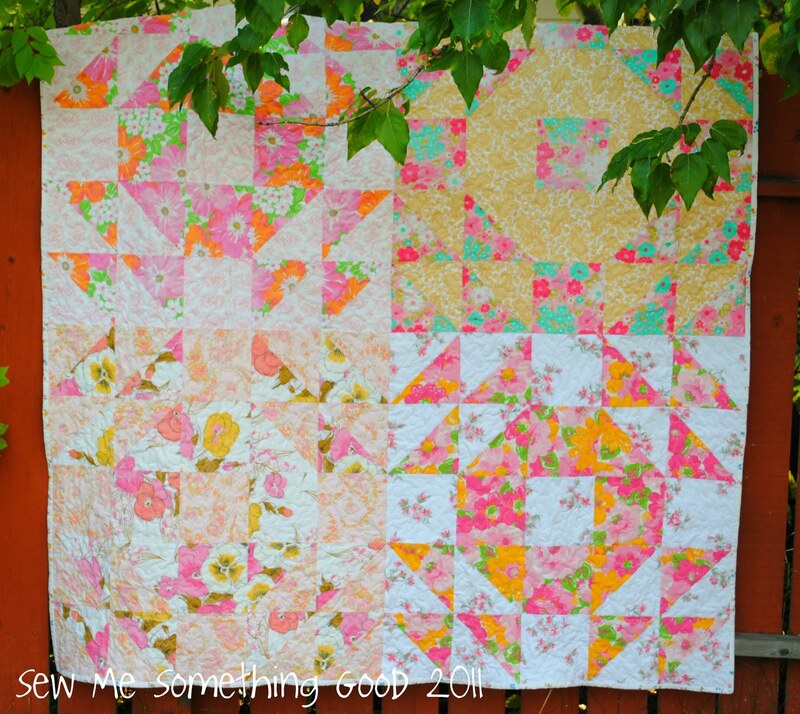 I just put the final stitches into the Wedding Ring Quilt sewn from thrifted vintage sheets in pinks, oranges and yellows. The first time I made a quilt completely from vintage sheets it was blue, it's such a favourite that I knew I would make another and that it had to be pink. 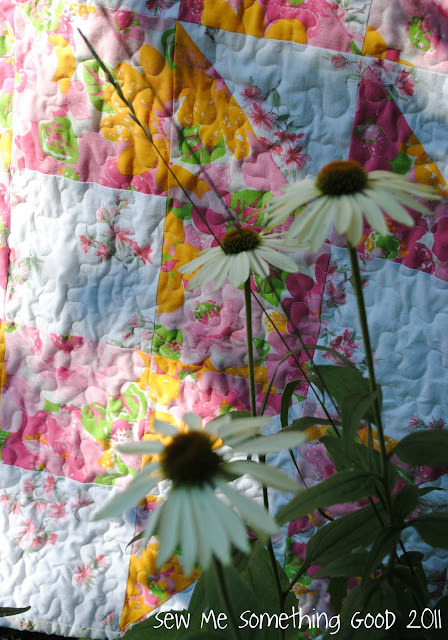 This one is just as soft as the first one and I love the mish-mash of old and bold prints! 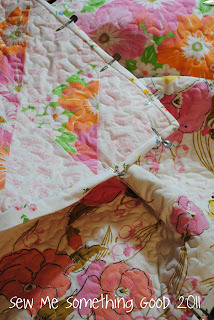 Machine quilting a meandering design seemed the best way to make sure those (bazillion...well, it seemed like that many!) 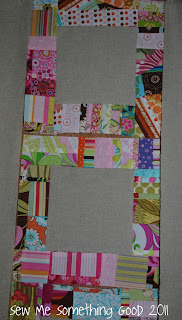 batting scraps I pieced together, wouldn't have a chance to separate over time. I love that all those batting scraps I save were put to good use! Many of my vintage sheets have bold colours and large floral patterns, which certainly can't get lost in blocks that are 32" finished. ;o) It seemed to make sense to show them off in a big block rather than chopping them too tiny to be seen and enjoyed. 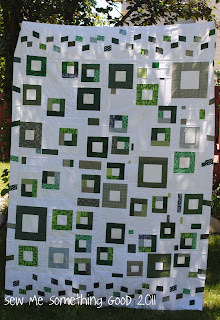 Plus, it was fun enlarging a traditional block to this huge size. 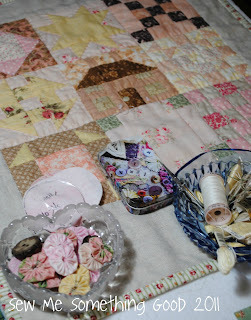 You would think I would have a complete vintage sheet to use for the backing, but that didn't happen. I kept finding patched spots (some nice darning work!) or overly worn/ faded places on the hopeful candidates and in the end decided to simply use the nicest parts of two sheets - pairing a light and dark to show off those large floral motifs. 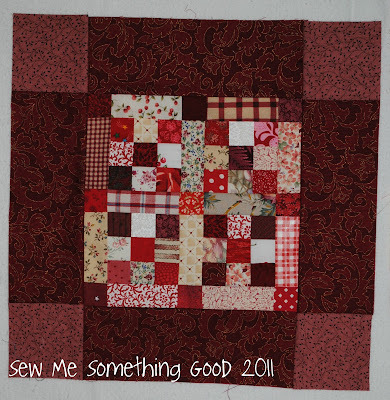 It turned out better than I had hoped - I had considered piecing leftovers in various combinations to make the yardage I needed, but I think going 50/50 with two sheets was best. Once again reaffirming that simplicity is often all that's needed to make something beautiful. 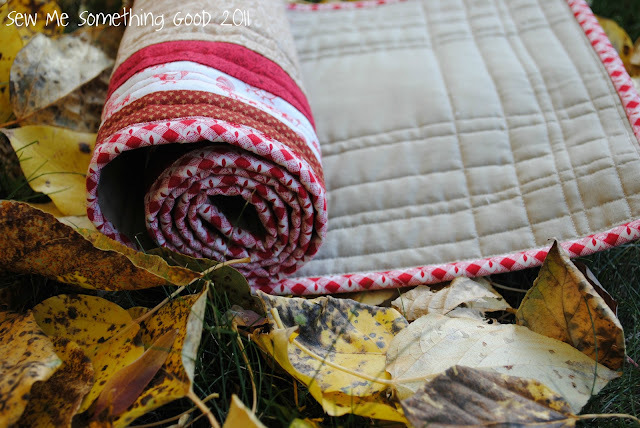 Even though it's Sept., our weather here is still sunny and warm, perfect for a picnic. 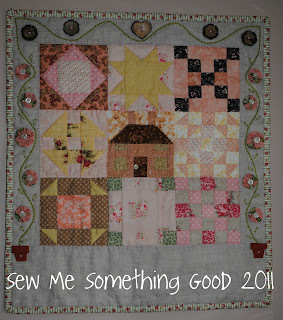 Now I have just the right quilt for one. Care to join me? I suppose if you read here somewhat regularly, you may wonder if all I do is start projects. :o) I will admit that I tend to be the type that likes to have more than one project on the go at any given time. I'm the same way when it comes to books. I do eventually finish what I start, very rarely do I completely walk away from a WIP. 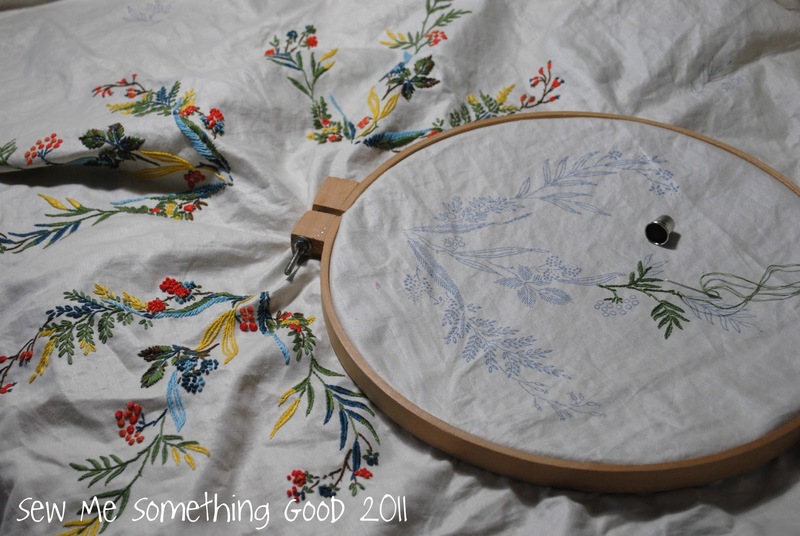 This week I'm focusing on getting some of my projects out of the WIP stack. 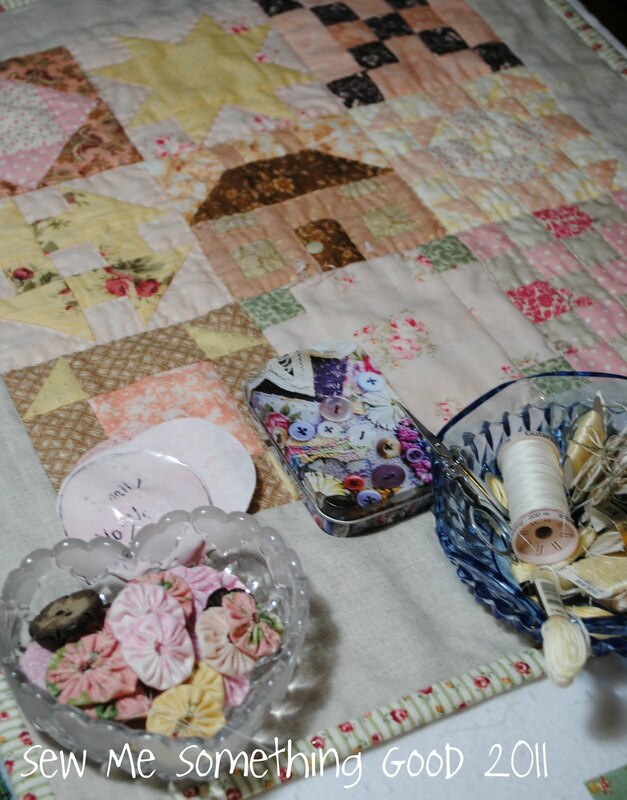 Case in point in the Wedding Ring quilt made from vintage sheets. 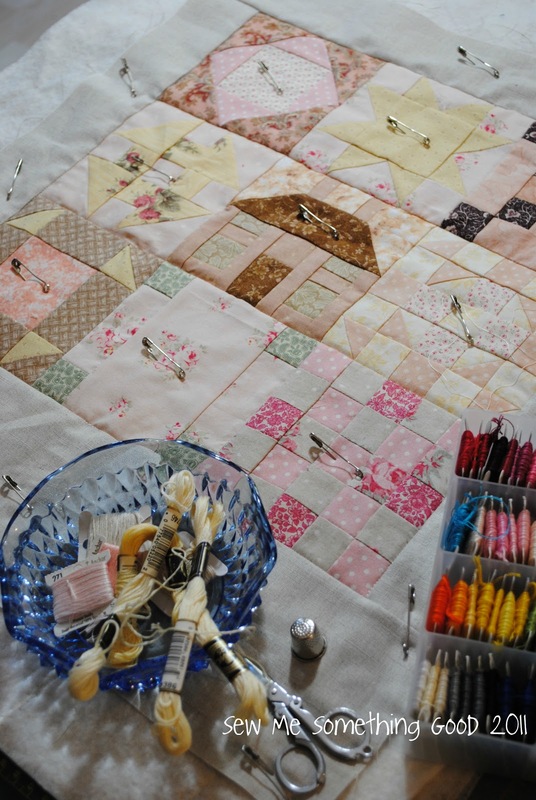 It's not that it's a complicated quilt, but my delay came with preparing the batting and backing. 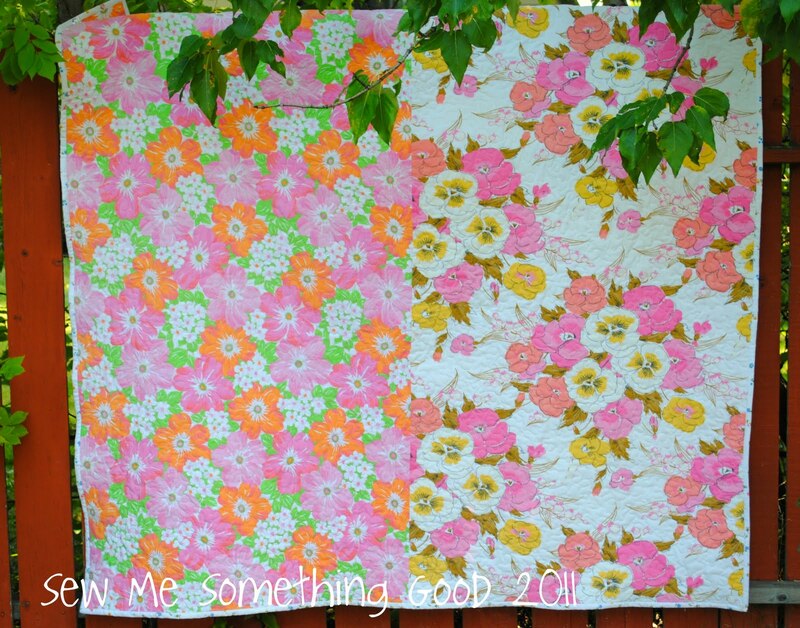 I think I pieced a bazillion batting scraps together for this quilt and then I pieced two fabrics for the backing. That slowed my enthusiasm a bit, but I wanted it done, so I stayed up last night basting (my least favourite part in quilt making... bleh...) so I could get to quilting it. 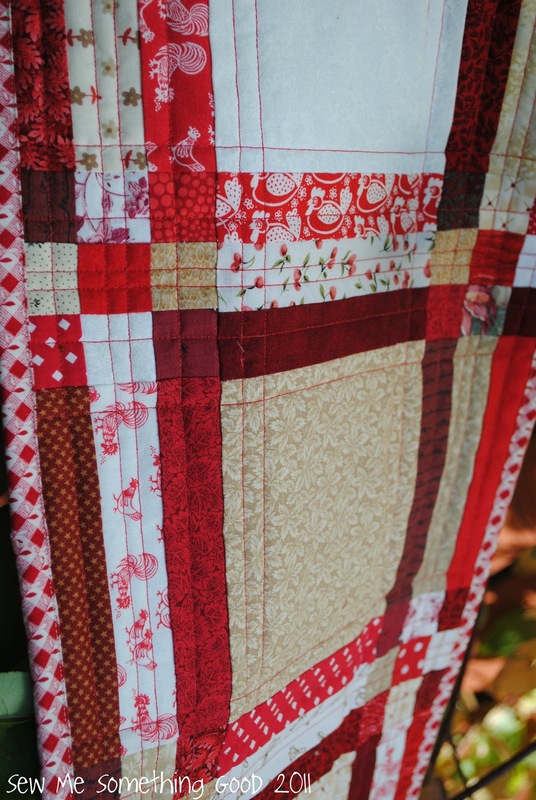 Happily, I finished machine quilting today and quickly moved onto adding the binding. I'm hoping to have the binding stitched down tonite. 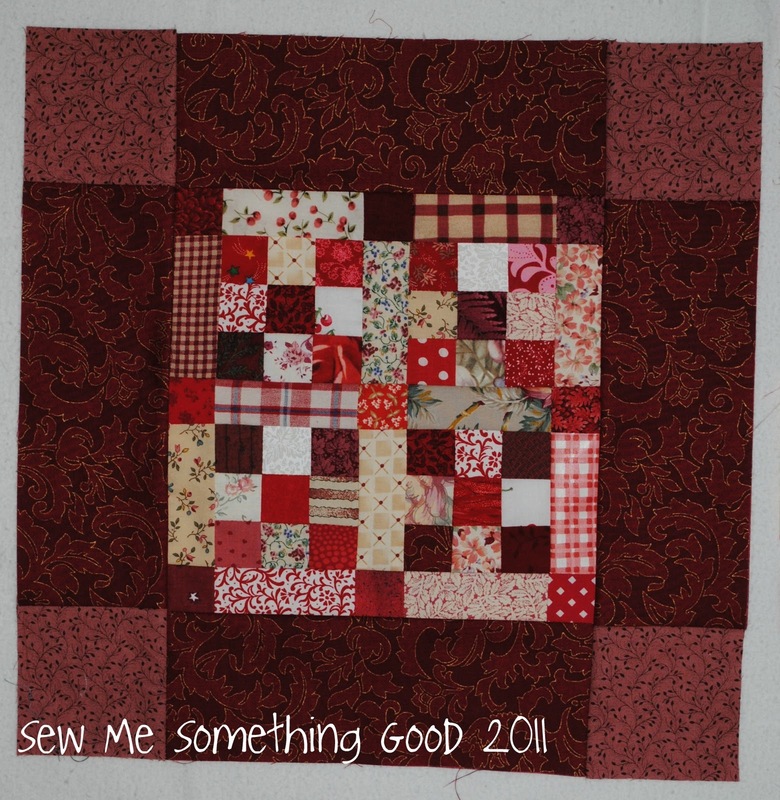 Then I'll only have 2 quilts waiting to be basted. Instead of scaring you by showing you all the projects I currently have on the go (which include some knitting, some crochet and some *a little red-faced over this one* ahem...embroidery...), I thought I'd show a glimpse of the progress I made on my mini quilt. 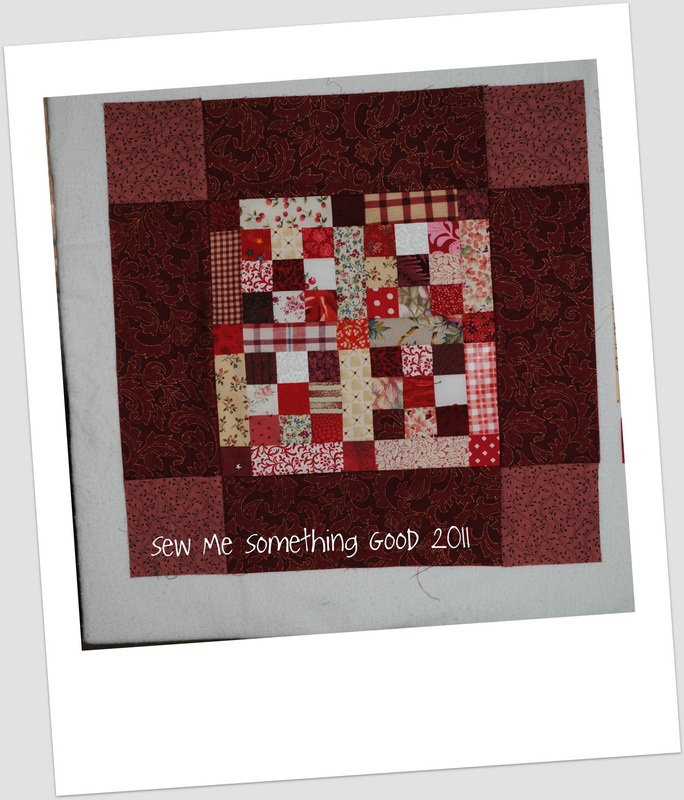 I haven't finished hand quilting all that I intend to, but I jumped ahead and added a binding - with a few well placed basting stitches keeping everything in place until I decide on the finishing stitches. I'm also toying with some extra embellishments... like fabric yo-yos and some special buttons. 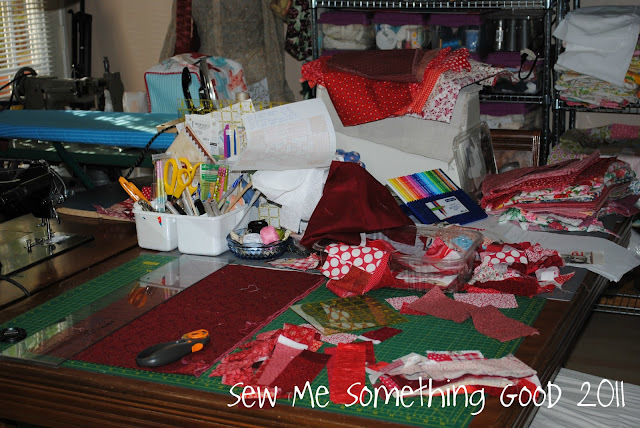 So tell me, do you like to have several projects on the go at one time or are you strictly a one project-at-a-time maker? 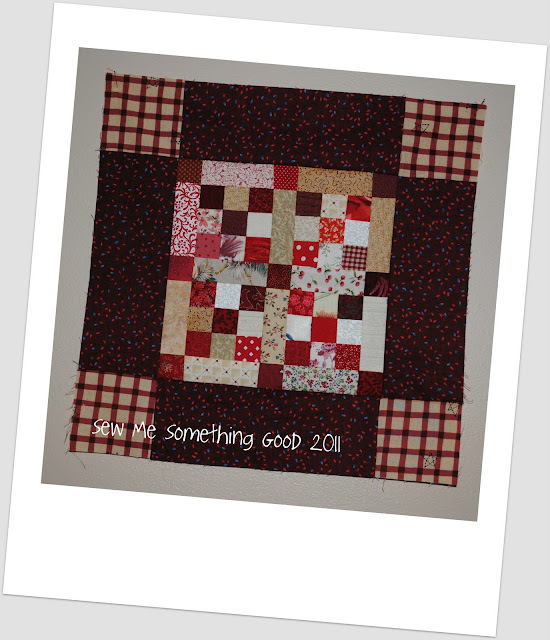 Look at what you could win, Wantobe Quilters (and won't even have to pay for the shipping...this includes internationally)! What are you waiting for? 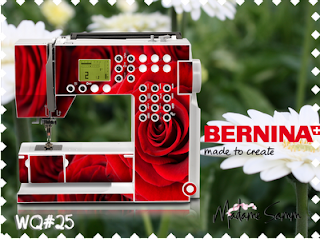 Today might be your lucky day, so please, be sure to enter here with your comments, after you have registered with me (leave me your name and email to be registered... more details on the Wantobe Quilter campaign can be found on the sidebar). 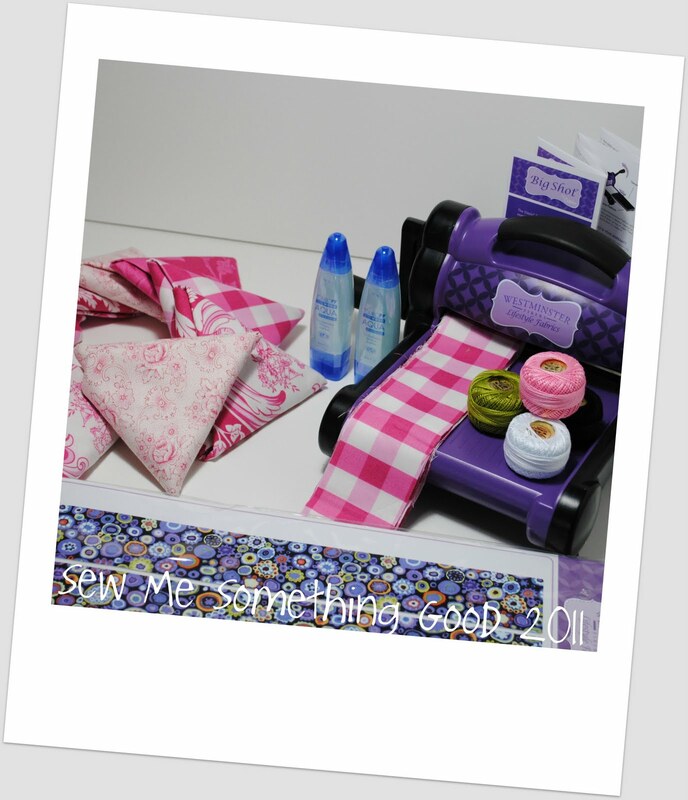 Just think of all the sewing possibilities you will have with a new sewing machine!!! 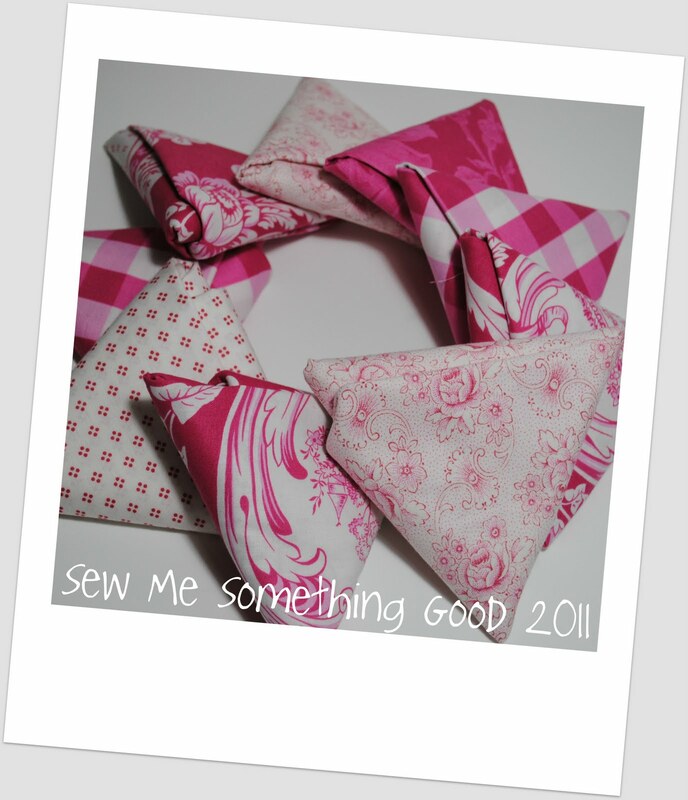 Happy Labor Day weekend and Happy Sewing! 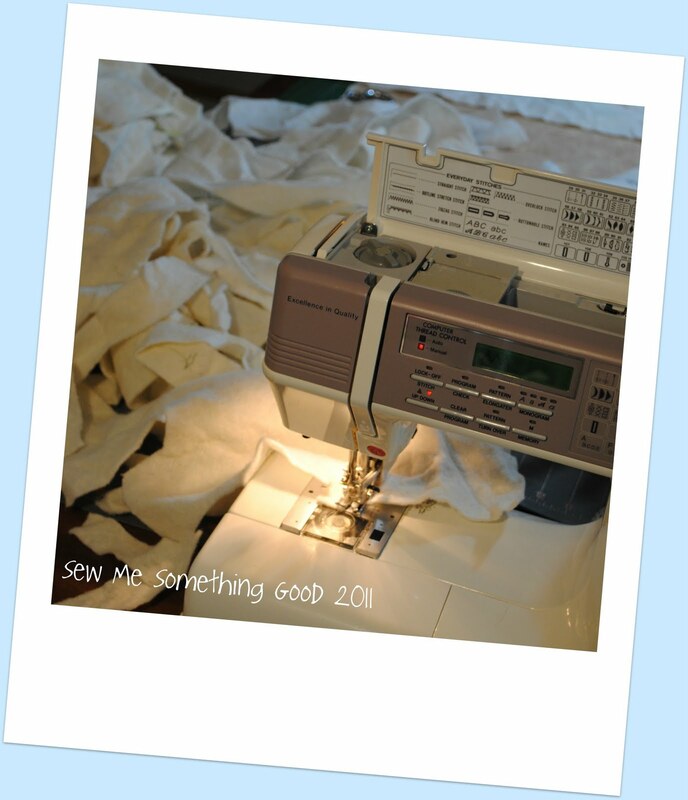 after a simple zig zag stitch on my machine, those skinny strips become something larger. 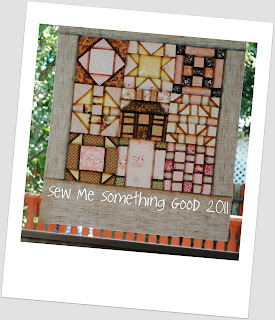 I especially like using my scraps to make a unique backing for any of my quilting projects that I can. 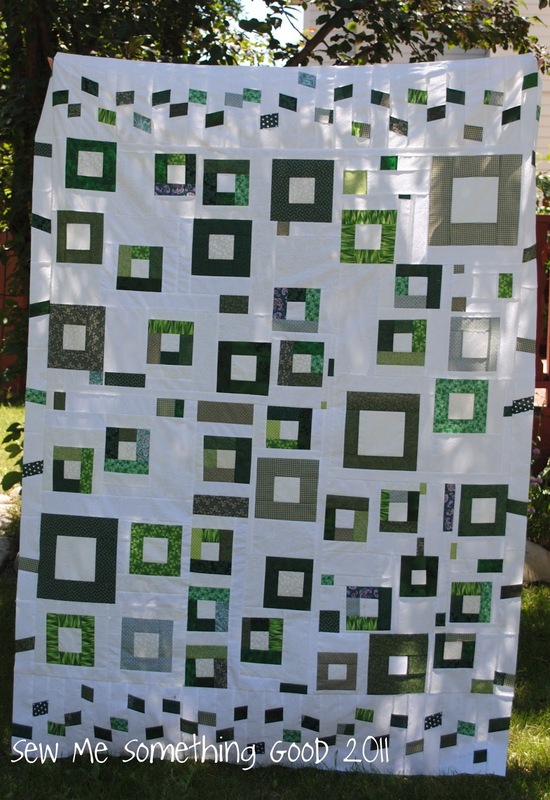 This time around I didn't have much piecework to do because I had section of pieced backing left from making this quilt. 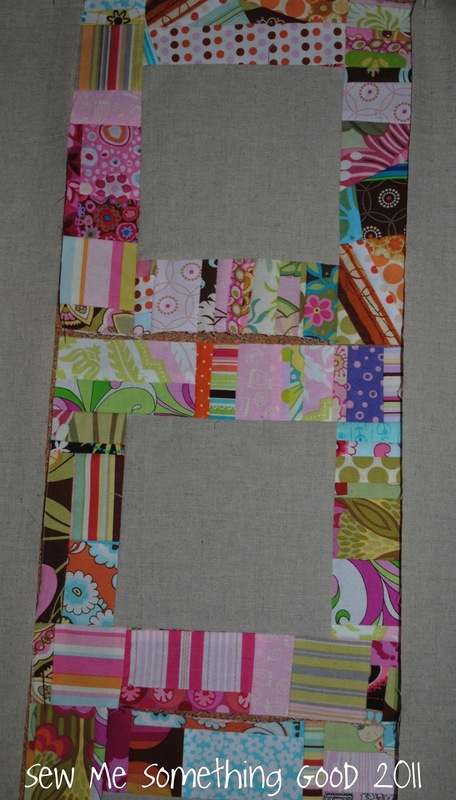 One seam later and I have something just right for finishing my Little Blocks project.